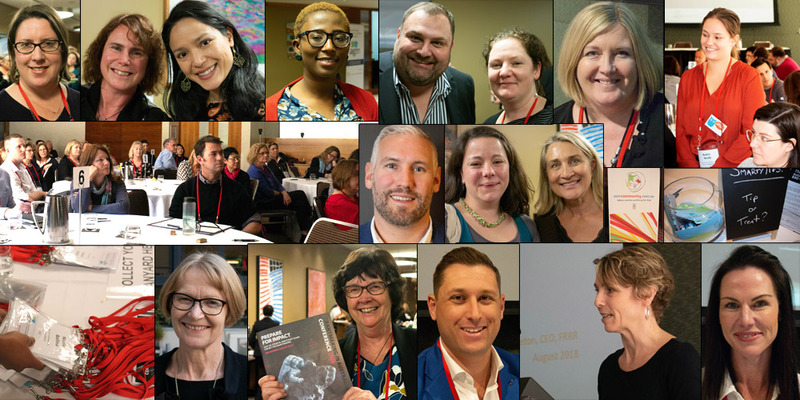 The two-day ‘Prepare for Impact’ Grantmaking in Australia conference at Melbourne’s RACV club last month sparked powerful and long-lasting insights for hundreds of leading grantmakers from around Australia and New Zealand. 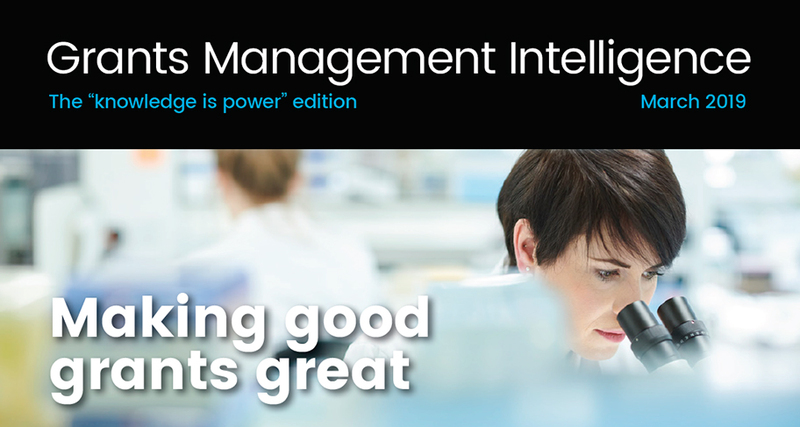 Delegates can already access presentations online, and we’ll bring AIGM members more lessons from the event in the next Grants Management Intelligence. The sold-out conference tackled the big issues facing funding professionals from the government, philanthropic, not-for-profit, and corporate sectors. They explored data, evaluation, change, technology, processes, grants promotion, grants design and review, feedback, and much more. Many of those themes also infused the “tribal” sessions for local, state and federal sectors, the sneak peeks into the latest developments to the SmartyGrants platform, and the extended chances to network. Delegates agreed they felt a buzz from rubbing shoulders with like-minded professionals who understand the tricky challenges and the triumphs that come from overcoming technological, political and funding pressures. VIDEO: Conference MC Fiona Dempster sums up the highlights of the event. Keynote speaker Dr Rory Gallagher of the Behavioural Insights Team Australia spelt out an assessment practice he summarised as “test, learn and adapt”. He said good empirical data generates insights into human behaviour that will better direct funding, based on evidence. He busted false assumptions that could lead to failure, such as the US-based “Scared Straight” program that sent ex-cons to speak with juvenile delinquents to put them on the right path, only to increase crime. Appropriately, that was followed by a grants evaluation panel featuring Terri Eggleton of New Zealand’s Bay Trust, Mary Jane Warfield of Regional Arts Australia, and Natalie Egleton of the Foundation for Rural and Regional Renewal (FRRR), who spelt out the time and investment needed to undertake evaluation properly. Each outlined the power of understanding your patch, whether it is knowing where to find and help the disadvantaged in the Bay of Plenty in New Zealand; finding the “gold” of artistic stories from outback and indigenous areas in regional arts; or discovering, as the FRRR did, that small grants – properly applied – could have a bigger effect than large funds. Our Community’s executive director, Kathy Richardson, gave a detailed tour of the technology-driven work of Our Community's Innovation Lab, where data scientists are working on such projects as automated grants classifications and shortlisting, and smart maps (now in use in SmartyGrants), which are one component of a bigger “outcomes engine” that will help to analyse applications and funding patterns. After a “brag, learn and steal” session in which grantmakers freely shared secrets, tech tips and dealing with the inevitable politics of the industry, grantmakers were treated to an extended “grants rage” panel session. Drawing on the recently released Grants in Australia research study, this reporter revealed the archetypes of grantseeking success, as well as trends across sectors, organisational sizes and funding sources. Another presentation saw Kylie Cirak and Robert Palmaricciotta describe the life of a professional grantwriter, amusing and enlightening delegates in equal measure. The City of Hume’s Joel Kimber (formerly of the Victorian Grants Network) gave a presentation that was unforgettable, not least for the rewording of the Spice Girls hit Wannabe to illustrate the good, the bad and the ugly of grant practices. Georgie Bailey, of the federal Department of Communications and the Arts, held sway over a session that tackled the tricky business of redesigning a grants program, through the lens of understanding “why”, and had delegates paying close attention. Ms Bailey explained the many political twists and staffing issues she faced – not least several portfolio changes – as well as the challenge of recasting “vintage technology”, automating reports and encouraging staff to let go of “flawed” past processes. That presentation segued into a panel discussion in which Ms Bailey was joined by Kate Cash of Unity Water and Ben Fitzpatrick from the City of Perth to discuss the often painful process of transforming a grants program. Mr Fitzpatrick told the tale of switching from six separate grants policies to two, comprising just six pages, and Ms Cash spelt out the power of using your grantees to spread the message of your successes on social media and other channels. Conference MC Fiona Dempster said the annual conference continues to build on the professionalism of a sector now charged with managing $80 billion in grants. She said outcomes, measurement and impact would be recurring themes at future events. And she said hearing from grantseekers was an important highlight. She said the trend towards social media communication was a new focus for many grantseekers and grantmakers seeking to tell their stories, to alert the community to their achievements, and to encourage other applicants, and the conference generated the strong impression it would continue to grow in significance. She emphasised the importance of regularly reviewing and refreshing grants programs. But overall she pointed to the cooperative and learning spirit of the event. We’ll be sharing more lessons from the conference with AIGM members as we digest them ourselves.